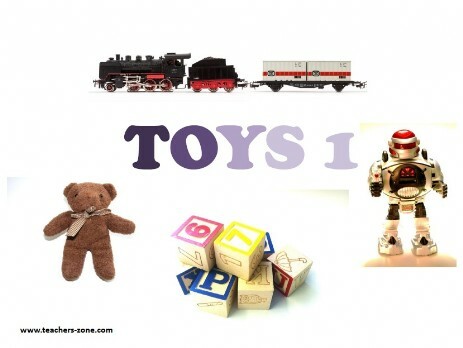 Introduce toys with flashcards which contain labels and check the vocabulary with picture flashcards. Vocabulary: teddy bear, blocks, car, doll, train, robot, ball, rubber duck, humming top. To check the vocabulary use toys flashcards without labels. 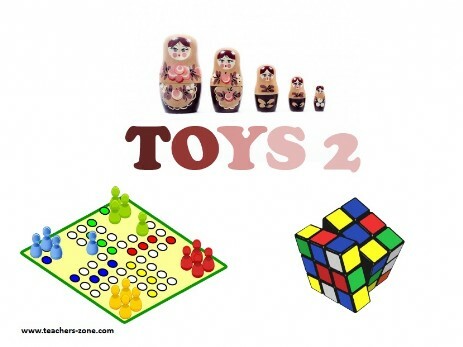 Vocabulary: kite, tea set, doll's pram, matryoshka doll, board game, dices, Rubik's cube, jigsaw puzzle, chess.